I am also submitting this to the Paper Smooches Sparks Challenge! Oh la la...I love the stencil background. Way to rock the PaperSmooches goodies! how cute.. i love the embossed background and that snowman just makes me smile. Such an adorable snowman! Love how you made the snow!! This is adorable. And, love how you wrapped your twine, too. This is sooooooooooo cute, Love the way u added the twine ! ACK! Too stinkin' cute!!! Love! This is so cute, Tracey. 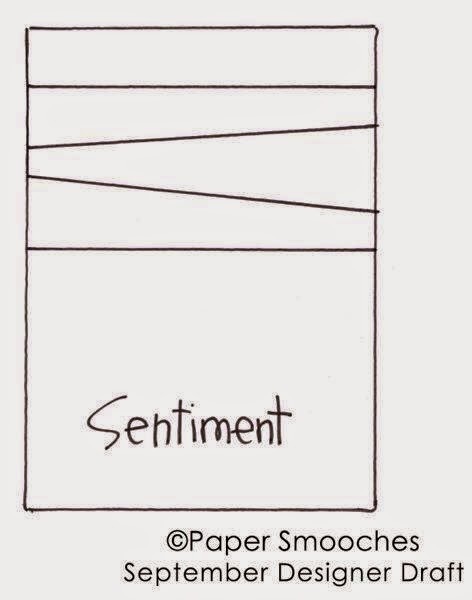 I love how you used twine to follow the sketch. Okay, now seriously: this is outstanding! 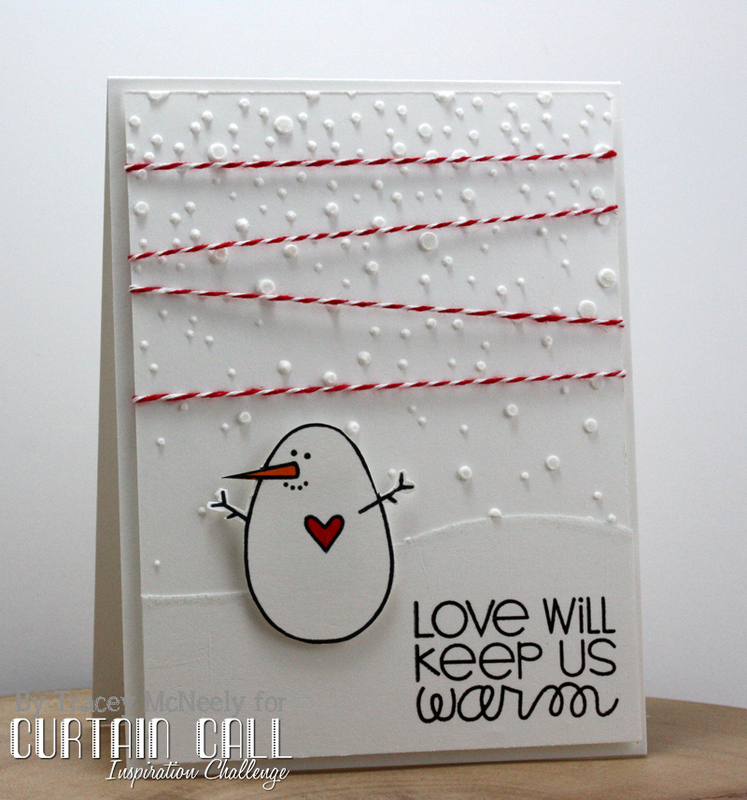 Your card conveys winter wonderland in the most delightful of ways...a snowy sky, an adorable snowman, whisper of red, a wee heart and that marvelous sentiment! 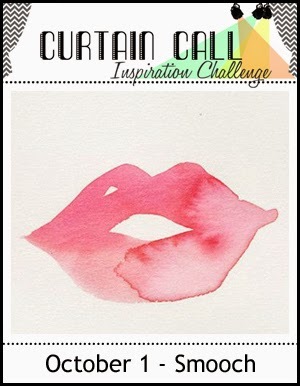 Smooch-inspiration, indeed! Love it! what a precious card, Tracey! OMGosh, this is fabulous, Tracey! 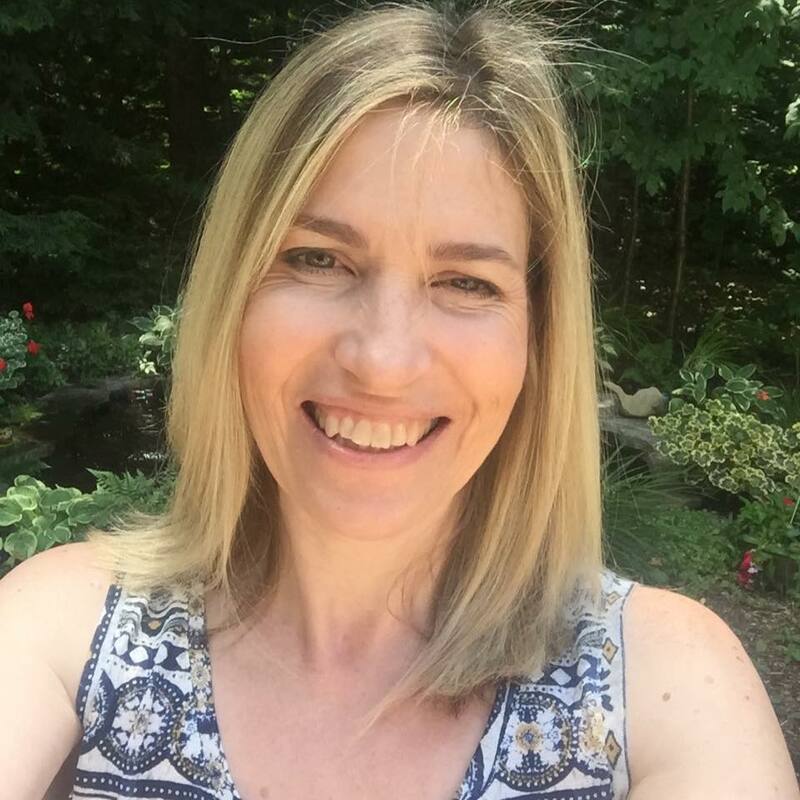 I love how you created your snowy sky and how you wrapped the twine! Such a darling snowman and sentiment, too! Adorable card!!! Oh I love this...awesome texture! AWESOME background Tracey, this is so CUTE!! This is seriously SO cute! Love it, Tracey. Super cute. I love that little snowman. Love your snow, your snowman, the sentiment--just a wonderful card! Oh what do we have here???!!! A snow stencil???!!! This could be the cutest snowman I've ever seen, Tracey! What a super cute card Tracey. Love the darling image and the textured background. This is so GOOD! I love that stencil background...you HAVE to tell me what you used! I love the dimension of that soft poofy snow! What a great card! I love the snow, the bakers' twine and, of course, the adorable snowman! Absolutely adore this card!! That snowman just makes me smile and the touch of falling snow with the twine - brilliant. Adorable! Love the fabulous texture the snow adds in the background! Awesome job with the sketch too! Oh goodness, this adorable! Your cute little snowman looks like he's in the middle of a snow storm. Tracey, this ROCKS! I love those amazing 3D snowflakes and the Christmasy twine. So much fun! Tracey...you out did yourself on this card. 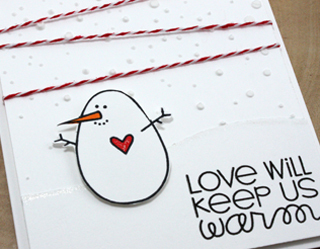 I just love that sweet little snowman and your snow background, just too darn cute.